An interesting blend of modern and traditional furniture and the creative use of color make this newly designed traditional space come alive. 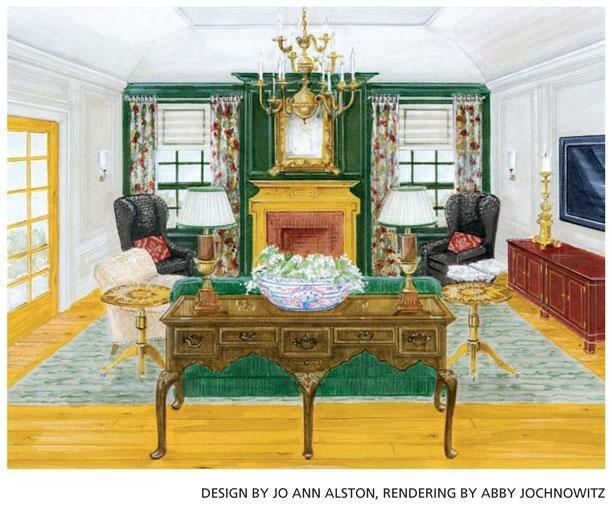 The faux finished green paneling is a dramatic backdrop for the fireplace and drapery. It creates a strong focal point.